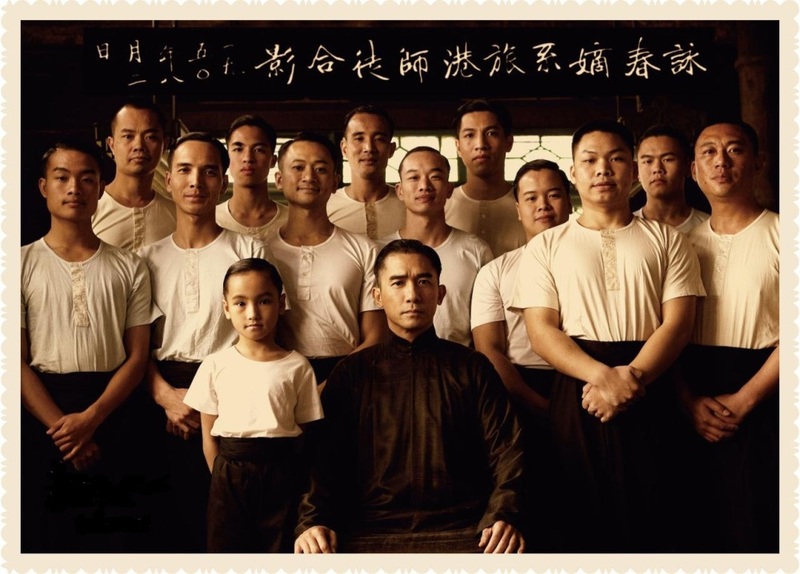 One of my Wing Chun Kung Fu brothers in the US was wondering when will the movie, “The Grandmaster,” be released in the movie theater. I told him that finally it is scheduled to be in the theater this December after ten years in the making/production. Not many movies took thirteen years to complete, let alone an action/Kung Fu movie. I have to say that I am eager to watch the movie at the end of this year. Recently, a picture from the movie came out to the public (see picture one). It has Yip Man/Ip Man, who was played by actor Tony Leung, with some actors who played grandmaster’s students. The picture looked very familiar to me. 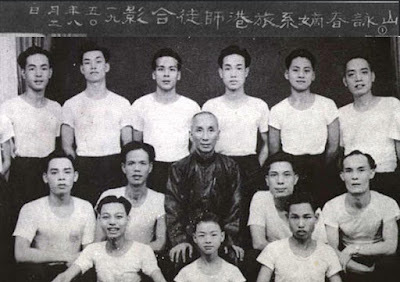 So, I went on-line to search and found the original picture of grandmaster and his early students in Hong Kong taken in 1950 (see picture two). I thought I would put those two up to share. 圖一 (Picture 1): 銀都機構有限公司 Sil-Metropole Organisation Ltd.